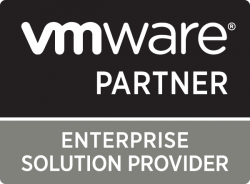 GBE Converge are please to announce that they have gained the necessary requirements to receive VMware Enterprise Solution Provider status. Becoming an Enterprise Solution Partner further demonstrates GBE Converge’s expertise in Cloud Infrastructure and emphasises the high standards in terms of solution design and after sales delivery. GBE Converge’s partnership with VMware will also provide clients with all the latest information regarding products, licensing and support solutions.